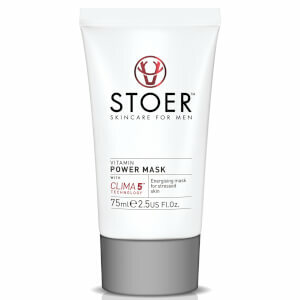 Improve your skin's overall appearance with the Vitamin Power Mask from Stoer Skincare, a Scottish brand that creates high-performance, easy-to-use grooming products for men. 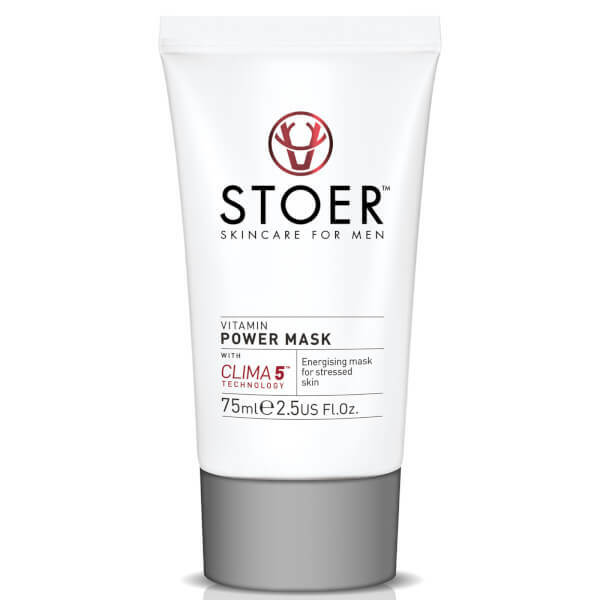 Powered by Pro-Vitamin B5 and innovative Clima5™ Technology (a unique blend of five plant actives from four very different, individually challenging climates), the antioxidant-rich face mask expertly purifies and revitalises skin, whilst defending against the damaging effects of stress and pollution. Can also be used as an overnight treatment to soothe razor burn. As a mask: Apply a thick layer to the neck and face once a week after cleansing, avoiding the delicate eye area. Leave for 10 minutes before rinsing off with water. To treat razor burn: Apply a thin layer to the affected area, massage in and leave on overnight before rinsing off in the morning. Aqua (Water), Glycerin, Polyglyceryl-2 Stearate, Avena Sativa Kernel Oil, Glyceryl Stearate, Stearyl Alcohol, Avena Sativa Kernel Flour, Betaine, Parfum (Fragrance), Benzyl Alcohol, Panthenol, Propanediol, Undaria Pinnatifida Cell Culture Extract, Isomalt, Xanthan Gum, Dehydroacetic Acid, Opuntia Ficus-Indica Stem Extract, Polypodium Vulgare Root Extract, Sodium Hydroxide, Hydrolyzed Adansonia Digitata Extract, Phenoxyethanol, Leuconostoc/Radish Root Ferment Filtrate, Lecithin, Sorbitol, Cetraria Islandica Extract, Sphagnum Magellicanum Extract, Saponaria Pumila Callus Culture Extract, Tocopheryl Acetate, Glyceryl Linoleate, Glyceryl Linolenate, Sodium Ascorbyl Phosphate, Caprylyl Glycol, Retinyl Palmitate, Citric Acid, Disodium EDTA, Glyceryl Caprylate.